SO, FOR 100 POINTS: What is the best way to draw a crowd? 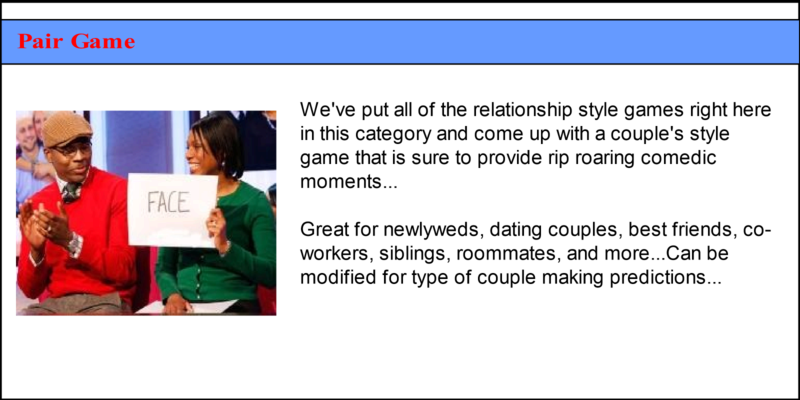 THE ANSWER IS: TV STYLE TRIVIA AND GAME SHOWS - fun and interactive game show parties...So call us...The "Bob Eubanks" and "Richard Dawson" (minus the kisses) of the Chicagoland area to find out how The Chicago Party Place can add game shows to your next event. 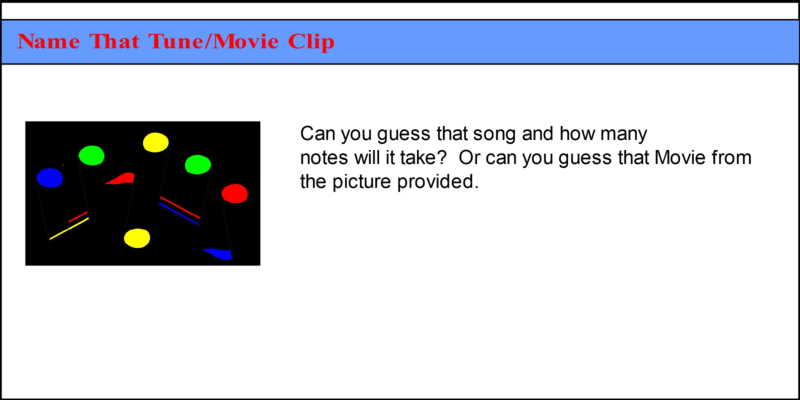 Most of our game shows can use either our pop culture themed questions or we can customize them using yours. 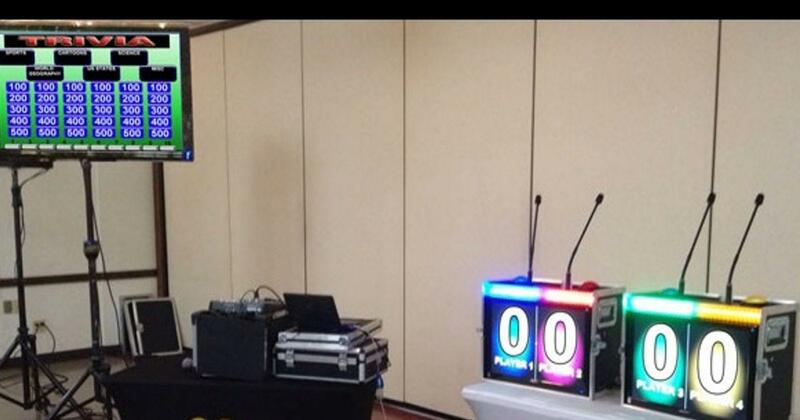 And we can setup our game show rentals just about anywhere.We also include props and interactive activities as needed. 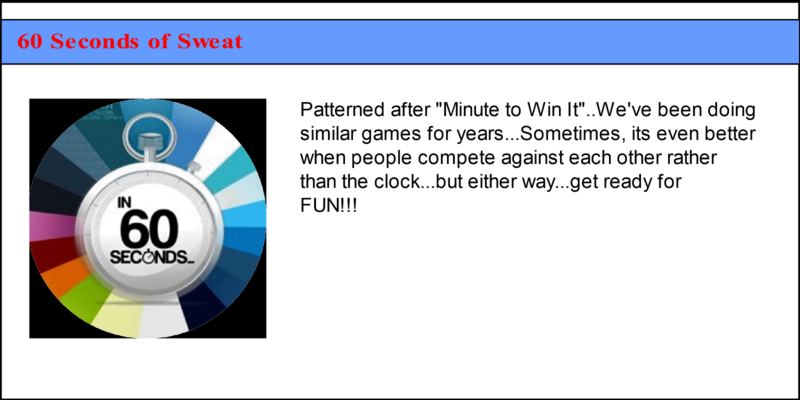 Host a real game show are your home, school, church, company, or reunion. We provide the host and the equipment for a variety of games. This exciting entertainment will thrill our guests as they participate both as specatators and contestants. Our staff will setup big screen monitors, podiums, lock out buzzers and other assorted props, creating the game show set in whatever venue you select. We'll then conduct the games like professionals, keeping things moving along with a combination of game show wizard and comedy. And we're happy to award prizes to the winners. They can range from gift certificates to cruises...(all provided by you, of course)..
Upgrades can include deluxe sound system, larger video screen/projector, and/or JammText.